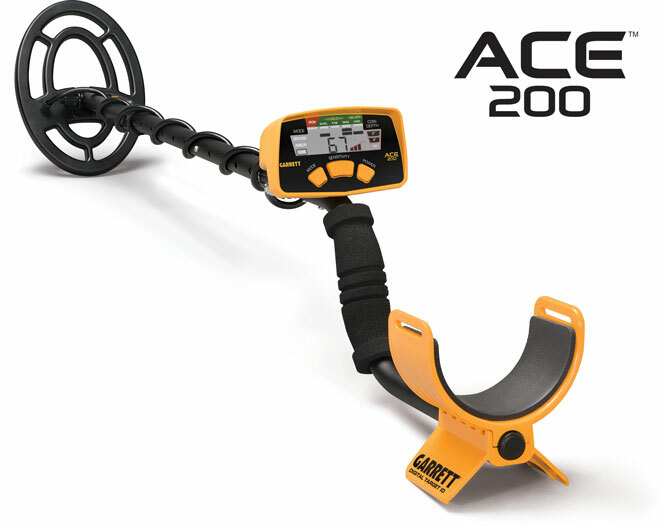 Featuring a new audio package, digital target ID, camlocks for additional stability, and a 6.5” x 9” concentric PROformance search coil, the ACE 200 detector is the newest entry-level metal detector from Garrett. With the quality and performance of the ACE 200, you can begin finding treasure right away—in your own backyard or wherever you travel. This detector is highly recommended for Coin Hunting, Dry Beach/Fresh Water Hunting; and recommended for Jewelry Hunting, Relic Hunting, Competition Events.